Korean hiphop artist Psy who populrized “Oppa Gangnam Style” will have a concert here in Manila on December 21 at the at the SM Mall of Asia Concert Grounds. 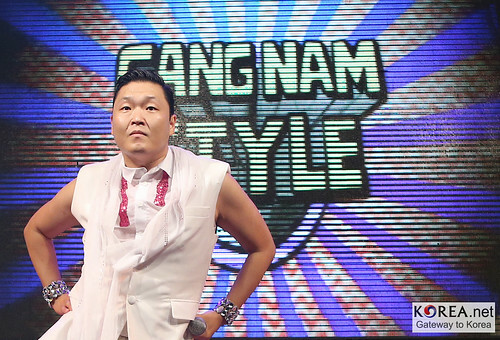 Psy’s Gangnam song currently holds the record as the most viewed video in Youtube. He was also invited by Ellen Degeneres to teach Britney Spears how to the dance the horse inspired song. By the way, Gangnam is a name of a place in South Korea. Who’s going to see Psy and be part of the Gangnam fever?